A cover as old as time. 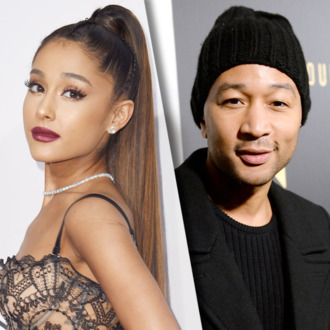 Ariana Grande and John Legend are here to take the cherished, Oscar-winning Beauty and the Beast theme song, cover it for the live-action adaptation, and strip it of all discernible consonants. (Even though the song’s original pop interpreter Céline Dion will also be on the new film’s soundtrack. Sacré bleu!) The pair have duetted on “Beauty and the Beast” (or “Tale As Old As Time,” however you best remember it), which was first teased in the film’s latest trailer but is now out in full. It may be a song as old as rhyme, but we challenge you to make out just one harmonious couplet. We’ll wait. They’re no Angela Lansbury — who is? — so it’ll be up to Emma Thompson to recreate Mrs. Potts’s magic this time around. Please, be our guest.